The owner, a very cool, young Thai man called Khun Golf, is a true cof­fee connoisseur. The speciality coffee shop has a tranquil vibe and Instagram-worthy interiors. The slow bar features a kettle, a scale and the very retro-look­ing Spirit Duette espresso machine. 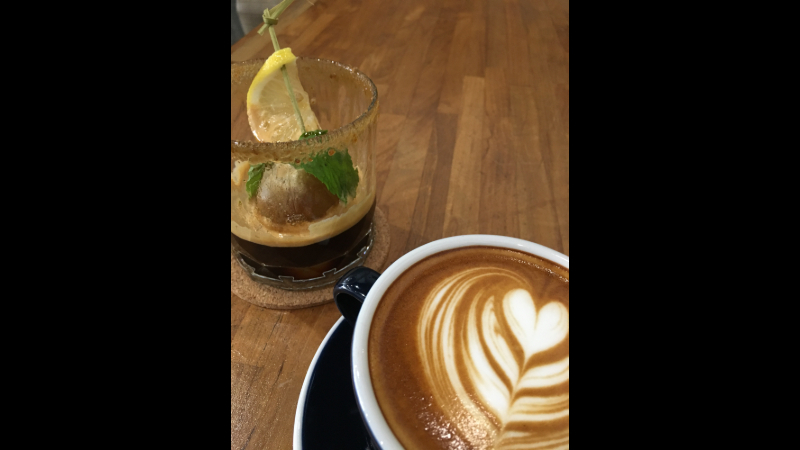 The shop’s cold brew coffee, house blend and signa­ture honey espresso on the rock are recommended. As an independent small-batch roaster, Campus Coffee Roaster draws attention to the diversity of single-ori­gin beans from the north of Thailand; many of the coffee shop’s signature drinks are composed of Thai Arabica varieties. The house blend is a testa­ment to the robust flavours that can be found in the Kingdom’s northern provinces. Campus Coffee Roaster’s slow bar presents the perfect opportunity to not only snap some dreamy photos, but to also watch the baristas in action and learn a bit about the coffee you are about to drink. Set up at the entrance to the coffee shop, the slow bar features a kettle, a scale and the very retro-look­ing Spirit Duette espresso machine. Before seating, take a few moments to stand by and watch your coffee being prepared. The baristas are truly profes­sional and, depending upon your order, the preparations can be quite meticu­lous and detailed. Trust me when I say that Campus Coffee Roaster raises the bar when it comes to latte art. The owner is a very cool, young Thai man called Khun Golf. He is super friendly, speaks English really well and, as one would expect, is highly knowledgeable about coffee. A true cof­fee connoisseur. Khun Golf’s path to coffee roasting, and eventually the opening of Campus Coffee Roaster, started while he was a university student. 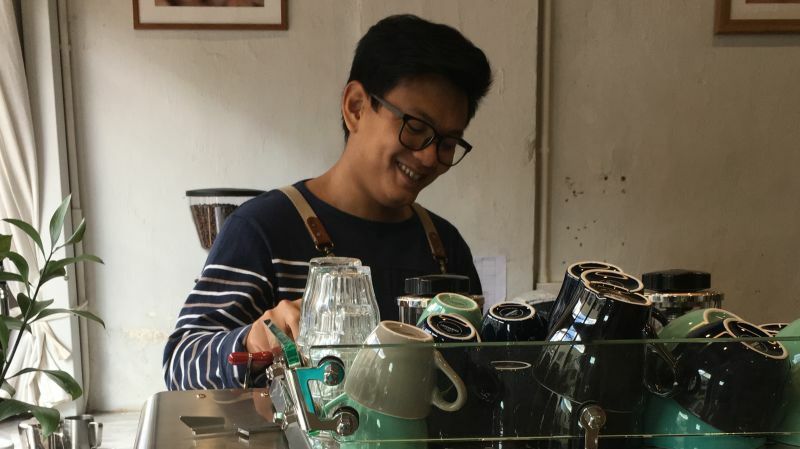 While working as a barista, he gained a lot of hands-on experience and later purchased a small roaster. After hours of trial and error, he was finally able to master the art of coffee roasting. 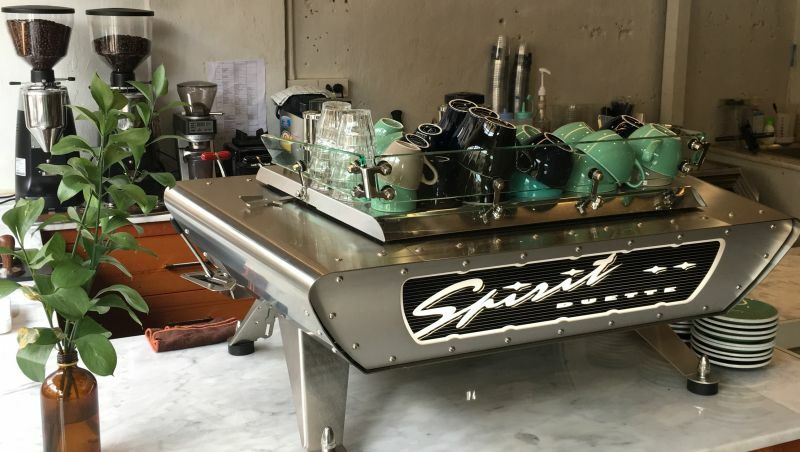 These days, Khun Golf and a num­ber of his friends, who are also cafe and coffee shop owners, share a roasting machine and do their best to roast cof­fee that showcases the unique flavours and varieties of single-origin coffee beans from northern Thailand. If you stop into Campus Coffee Roaster, I highly recommend the shop’s cold brew coffee, house blend or signa­ture honey espresso on the rock. Check out what coffee brews they have on hand that day, and take a bag home to recreate the experience in the comfort of your own kitchen. Truly the darling of the Phuket coffee roasting scene, Campus Coffee Roaster is a pleasant place to drop in for a freshly brewed coffee and some dessert. 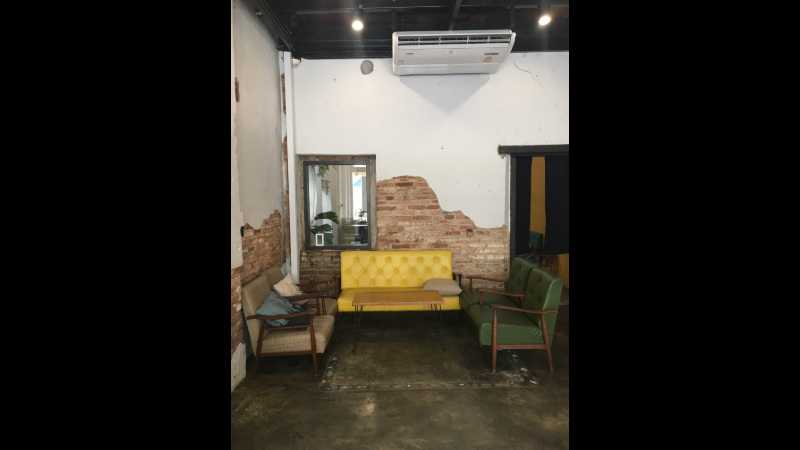 It’s a well-designed space with plen­ty of seating, and a great place to meet up with friends before further exploring Phuket Old Town. Campus Coffee Roaster is open daily from 8am to 6pm.